I would appreciate if you would take a few minutes to complete this questionnaire so I may know your thoughts on some key issues. Thank you for your time and input. Do you support using the State’s “Rainy Day” Fund to aid in Hurricane Harvey recovery and relief? Are you in favor of allowing guns on college campuses? Should taxpayer dollars be used to provide vouchers for students to attend private or charter schools? 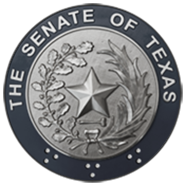 In your opinion, what are the three most important issues facing the State of Texas and your family?